Yet one can see similarities between the executive order signed by Donald Trump on 27 January prohibiting entry into the US for certain nationalities, with the alleged objective of protecting the US from terrorism, and the executive decree adopted on the same day in Argentina curbing immigration in the name of the fight against criminality. Discursively, the presentation of other South American nationals as criminals recalls Trump’s infamous haranguing of Mexicans. Is this pure coincidence or rather another example of the influence on Latin America of the US’s ideological stance on migrants and refugees? To answer that question, we need to look at the context for current events. In 2004 Argentina adopted a new immigration law that resulted from an extensive debate between civil society groups, academics, government officials and politicians. This new act replaced the previous 1981 law, popularly named after the country’s infamous dictator Videla, which had significantly curtailed the rights of migrants. Argentina’s 2004 immigration law turned out to be a milestone in migrant protection, being praised by the UN and academics alike, and becoming a model that other countries in South America aspired to replicate. Moreover, Argentina took the initiative in debates on regional mobility for South American nationals by proposing the Mercosur Residence Agreement (discussed here) and was the first to implement such a policy at national level. By becoming a regional leader in this area, Argentina was considered a coherent and reliable partner, and thus gained legitimacy to peer-pressure others to follow similar policies. In other words, Argentina became the chief architect of a regional regime that made migration management not only more liberal, but also more predictable in terms of procedures to access residence – something in its national interest as the main receiving country. Is all this now over? 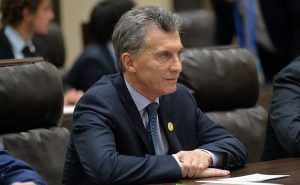 On 10 December 2015 Mauricio Macri became the new Argentinean president. The son of an Italian immigrant, his election represented a turning point in the country´s migration agenda. The first signs of the new restrictiveness were evident last year when, amidst poor economic performance, some government officials started portraying migrants as responsible for various social ills. Late last month the government moved further, amending Argentina´s 2004 immigration law via an executive decree. This was adopted under an urgent procedure, thus avoiding any involvement of parliament in its drafting (Decree 70/2017). The new norm has been justified on the grounds of fighting organised criminality, particularly drug trafficking, and the assumed difficulty of expelling criminals under the 2004 legal framework. It has also been argued that immigrants make up a significant proportion of the prison population. NGOs and media, including the NY Times, have already denounced the falsity of the data used by the Argentinean government in making these statements. The decree comprises three main provisions. First, it allows the expulsion of anyone who has committed any type of offence, including minor ones, as well as those who have entered into Argentina clandestinely. In other words, rather than focusing on important criminal offences or organised crime, the decree expands the list of wrongdoings that can legitimise deportation. In some cases it is not even necessary for the sentence to be final and the appeals process exhausted. Second, the norm establishes a special summary procedure to expel migrants. The risible deadlines to present allegations or file appeals (two or three days) violate all basic judicial guarantees enshrined in the American Convention on Human Rights – an instrument that has supremacy over domestic law according to Argentina´s constitution (Art. 75(22)). This is coupled with prohibitions on re-entry into the country of up to eight years and the possibility of detention pending expulsion. Third, the use of family life as grounds to impede expulsion when the individual is the parent, child or spouse of an Argentinean national is made harder by demanding effective cohabitation, with the burden of proof falling on the individual concerned. Cases where migrants have not committed a criminal offence, and are being expelled only because of clandestine entry, risk breaching the Inter-American Court on Human Rights´ jurisprudence (Advisory Opinion OC-21/14, para 280). Argentinean government officials have hastened to assert that the new decree has nothing to do with Trump. They are possibly right. The vilification of migrants had already started in 2016, well before Trump was even candidate, and the country has had its fair share of restrictive – as well as open – legislative measures since at least the 1902 Residence Act. The same officials insist that the new decree does not represent a turning point, that Argentina will continue to be open to migration, and that the new ruling will only affect those who have committed significant crimes. However, the fact that expulsion for serious offences was contemplated in the 2004 law points rather in the direction of a social mechanism designed to punish those with less resources and who make their living in the country´s large informal economy by, for example, selling goods in the streets – something that could now lead to expulsion. Moreover, Argentina´s leadership at regional level is already being called into question. The new decree has raised diplomatic tensions, with various countries complaining about the unfair depiction of their nationals. This of course makes it harder to continue building any meaningful South American citizenship at MERCOSUR or UNASUR levels. To come into force, the decree will need to be approved by the Argentinean parliament by the middle of this month, something that seems quite plausible. It is harder to predict whether the government will be able to build a parliamentary majority that could lead to the total repeal of the 2004 law. The courts may also have a role to play – as has happened in the US – to assess the legality of some of the most restrictive changes, notably the reduction of guarantees in the expulsion procedure, a development that affects the rule of law. Far from being a matter related only migrants, the new decree also impacts on the image of Argentina internationally and as a leader in the regional construction process. * This post was first published as part of the project Prospects for International Migration Governance (MIGPROSP).